1. Гайдуков К. М., Лёнькин А. И., Кузьков В. В. и др. Насыщение кислородом гемоглобина центральной венозной крови и венозно-артериальный градиент PCO2 после комбинированных операций на клапанах сердца // Анестезиол. и реаниматол. - 2011. - № 3. - C. 19-21. 2. Ленькин А. И., Захаров В. И., Паромов К. В. и др. Взаимосвязь церебральной оксигенации с детерминантами доставки и потребления кислорода при комплексной хирургической коррекции приобретённых пороков сердца // Сб. докл. и тез. 4-го Беломорского симпозиума, Архангельск, 23-24 июня 2011. - C. 5-6. 3. Ленькин А. И., Паромов К. В., Смёткин А. А. и др. Устранение нарушений гемодинамики при комплексном хирургическом лечении приобретённых клапанных пороках сердца // Общ. реаниматол. - 2011. - № 7. - C. 10-17. 4. Паромов К. В., Лёнькин А. И., Смёткин А. А. и др. Целенаправленная коррекция нарушений гемодинамики при хирургической коррекции приобретённых клапанных пороках сердца // Серд.-сосуд. заболевания. Бюллетень НЦ ССХ им. А.Н. Бакулева РАМН. - 2011. - № 12 (6). - С. 194. 5. Шмырев В. А., Пономарев Д. Н., Шахин Д. Г. и др. Системная воспалительная реакция при использовании дистантного ишемического прекондиционирования у кардиохирургических пациентов // Вестн. анестезиол. и реаниматол. - 2014. - № 3. - С. 10-17. 6. Abu-Omar Y., Ratnatunga C. Cardiopulmonary bypass and renal injury // Perfusion. - 2006. -Vol. 21. - P. 209-213. 7. Bakker J., Nijsten M. W. N., Jansen T. C. Clinical use of lactate monitoring in critically ill patients // Ann. Intens. Care. - 2013. - Vol. 3. - P 12. 8. Calvin S. H., Ng S. W., Arifi A. A. et al. Inflammatory response to pulmonary ischemia-reperfusion injury // Surg. Today. - 2006. - Vol. 36. - P. 205-214. 9. Clark S. C. Lung injury after cardiopulmonary bypass // Perfusion. - 2006. - Vol. 21. - P. 225-228. 10. Critchell C. D., Savarese V., Callahan A. et al. Accuracy of bedside capillary blood glucose measurements in critically ill patients // Intens. Care Med. - 2007. - Vol. 33. - P. 2079-2084. 11. Dres M., Monnet X., Teboul J.-L. Hemodynamic management of cardiovascular failure by using PCO2 difference // J. Clin. Monit. Comput. - 2012. -Vol. 26. - P. 367-374. 12. Egi M., Bellomo R. Reducing glycemic variability in intensive care unit patients: a new therapeutic target? // J. Diabetes. Sci. Technol. - 2009. - Vol. 3. - P. 1302-1308. 13. Egi M., Bellomo R., Stachowski E. et al. Hypoglycemia and outcome in critically ill patients // Mayo. Clin. Proc. - 2010. - Vol. 85, № 3. - P. 217-224. 14. Futier E., Robin E., Jabaudon M. Central venous O2 saturation and venous-to-arterial CO2 difference as complementary tools for goal-directed therapy during high-risk surgery // Crit. Care. - 2010. - Vol. 14. - P. 193. 15. Gandhi G. Y., Nuttall G. A., Abel M. D. et al. Intra-operative hyperglycemia and perioperative outcomes in cardiac surgery patients // Mayo. Clin. Proc. - 2005. - Vol. 80. - P. 862-866. 16. Goepfert M. S., Reuter D. A., Akyol D. et al. Goal-directed fluid management reduces vasopressor and catecholamine use in cardiac surgery patients // Intens. Care Med. - 2007. - Vol. 33. - P. 96-103. 17. Goepfert M. S., Richter H. P., Zu Eulenburg C. et al. Individually optimized hemodynamic therapy reduces complications and length of stay in the intensive care unit: a prospective, randomized controlled trial // Anesthesiology. - 2013. - Vol. 119. - P. 824-836. 18. Guvener M., Pasaoglu I., Demircin Met al. Perioperative hyperglycemia is a strong correlate of postoperative infection in type II diabetic patients after coronary artery bypass grafting // Endocr. J. - 2002. - Vol. 49. - P. 531-537. 19. Hicks J. L. Cardiac Surgery // J. Am. Coll. Surg. - 1998. - Vol. 186. - P. 129-133. 20. Hirai S. Systemic inflammatory response syndrome after cardiac surgery under cardiopulmonary bypass // Ann. Thorac. Cardiovasc. Surg. - 2003. - Vol. 9. - P. 365-370. 21. Hoedemaekers C. W., Klein Gunnewiek J. M., Prinsen M. A. et al. Accuracy of bedside glucose measurement from three glucometers in critically ill patients // Crit. Care Med. - 2008. - Vol. 36. - P. 3062-3066. 22. Holmes J. H., Connolly N. C., Paull D. L. et al. Magnitude of the inflammatory response to cardiopulmonary bypass and its relation to adverse clinical outcomes // Inflamm. Res. - 2002. - Vol. 51. - P. 579-586. 23. Jones A. E., Shapiro N. I., Trzeciak S. et al. Lactate clearance vs central venous oxygen saturation as goals of early sepsis therapy: a randomized clinical trial // JAMA. - 2010. - Vol. 303. - P. 739-746. 24. Kanji S., Buffie J., Hutton B. et al. Reliability of point-of-care testing for glucose measurement in critically ill adults // Crit. Care Med. - 2005. - Vol. 33. - P. 2778-2785. 25. Kennedy D. J., Butterworth J. F. Endocrine function during and after cardiopulmonary bypass: recent observations // J. Clin. Endocrin. Metabol. - 1994. - Vol. 78. - P. 997-1002. 26. 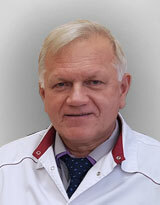 Kirov M. Y., Kuzkov V. V., Molnar Z. Perioperative haemodynamic therapy// Curr. Opin. Crit. Care. - 2010. - Vol. 16. - P. 384-392. 27. Kirov M. Y., Lenkin A. I., Kuzkov V. V. et al. Single transpulmonary thermodilution in off-pump coronary artery bypass grafting: haemodynamic changes and effects of different anaesthetic techniques // Acta Anaesthesiol Scand. - 2007. - Vol. 51. - P. 426-433. 28. Krinsley J. S. Glycemic variability: a strong independent predictor of mortality in critically ill patients // Crit.Care Med. - 2008. - Vol. 36, № 11. - P. 3008-3013. 29. Krinsley J. S., Grover A. Severe hypoglycemia in critically ill patients: risk factors and outcomes // Crit. Care Med. - 2007. - Vol. 35, № 10. - P. 2262-2267. 30. Lenkin A. I., Zaharov V. I., Lenkin P. I. et al. Normothermic cardiopulmonary bypass increases cerebral tissue oxygenation during combined valve surgery: a single-centre, randomized trial // Interact. Cardio Vascular and Thoracic Surgery. - 2013. - Vol. 16. - P. 595-601. 31. Lenkin A. I., Zaharov V. I., Lenkin P. I. et al. Monitoring of anesthetic depth during surgical correction of acquired valvular disorders: single center, randomized trial // J. Cardiothorac. Vasc. Anesth. - 2014. - Vol. 28. - P. 301-307. 32. Lenkin A. I., Kirov M. Y., Kuzkov V. V. et al. Comparison of goal-directed hemodynamic optimization using pulmonary artery catheter and transpulmonary thermodilution in combined valve repair: a randomized clinical trial // Crit. Care Res. Pract. - 2012. - article ID 821218. -doi:10.1155/2012/821218. 33. Looney Y., Quinton P. Mitral valve surgery. continuing education in anaesthesia // Critical. Care & Pain. - 2005. - P. 1-4. 34. Mechanick J. I., Handelsman Y., Bloomgarden Z. T. Hypoglycemia in the intensive care unit // Curr. Opin Clin. Nutr. Metab. Care. - 2007. - Vol. 10, № 2. - P. 193-196. 35. Möller F., Liska J., Eidhagen F. et al. Intravascular microdialysis as a method for measuring glucose and lactate during and after cardiac surgery // J. Diabetes Sci. Technol. - 2011. - Vol. 5. - P. 1099-1107. 36. Nguyen H. B., Rivers E. P., Knoblich B. P. et al. Early lactate clearance is associated with improved outcome in severe sepsis and septic shock // Crit. Care Med. - 2004. - Vol. 32. - P. 1637-1642. 37. Ohri S. K., Velissaris T. Gastrointestinal dysfunction following cardiac surgery // Perfusion. - 2006. - Vol. 21. - P. 215-223. 38. Perz S., Uhlig T., Kohl M. et al. Low and «supranormal» central venous oxygen saturation and markers of tissue hypoxia in cardiac surgery patients: a prospective observational study // Intens. Care Med. - 2011. - Vol. 37. - P. 52-59. 39. Petersen J. R., Graves D. F., Tacker D. H. et al. Comparison of POCT and central laboratory blood glucose results using arterial, capillary, and venous samples from MICU patients on a tight glycemic protocol // Clin. Chim. Acta. - 2008. - Vol. 396. - P. 10-13. 40. Pope J. V., Jones A. E., Gaieski D. F. et al. Multicenter study of central venous oxygen saturation as a predictor of mortality in patients with sepsis // Ann. Emerg. Med. - 2010. - Vol. 55. - P. 40-46. 41. Prêtre R., Turina M. I. Valve diseases: Cardiac valve surgery in octogenarian // Heart. - 2000. - Vol. 83. - P. 116-121. 43. Schierenbeck F., Nijsten M. W. N., Franco-Cereceda A. et al. Introducing intravascular microdialysis for continuous lactate monitoring in patients undergoing cardiac surgery: a prospective observational study // Crit. Care. - 2014. - Vol. 18. - P. 56. 44. Schierenbeck F., Nijsten M. W. N., Franco-Cereceda A. et al. Evaluation of a continuous blood glucose monitoring system using central venous microdialysis // J. Diabetes. Sci. Tehnol. - 2012. - Vol. 6. - P. 1366-1371. 45. Smetkin A. A., Hussain A., Kuzkov V. V. et al. Validation of cardiac output monitoring based on uncalibrated pulse contour analysis vs transpulmonary thermodilution during off-pump coronary artery bypass grafting // Br. J. Anaesth. - 2014. - Vol. 112. - P. 1024-1031. 46. Smetkin A. A., Kirov M. Y., Kuzkov V. V. et al. Single transpulmonary thermodilution and continuous monitoring of central venous oxygen saturation during off-pump coronary surgery // Acta Anaesth. Scand. - 2009. - Vol. 53. - P. 505-514. 47. Textoris J., Fouché L., Wiramus S. et al. High central venous oxygen saturation in the latter stages of septic shock is associated with increased mortality // Crit. Care. - 2011. - Vol. 15. - P. 176. 48. Turina M. I. Future of heart valve surgery // Eur. J. Cardiothorac. Surg. - 2004. - Vol. 26. - P. 8-13. 49. Turina J., Stark T., Seifert B. et al. Predictors of long-term outcome after combined aortic and mitral valve surgery // Circulation. - 1999. - Vol. 100. - P. 48-53. 50. Vallee F., Vallet B., Mathe O. et al. Central venous-to-arterial carbon dioxide difference: an additional target for goal-directed therapy in septic shock? // Intens. Care Med. - 2008. - Vol. 34. - P. 2218-2225. 51. Van den Berghe G. How does blood glucose control with insulin save lives in intensive care? // J. Clin. Invest. - 2004. - Vol. 114, № 9. - P. 1187-1195. 52. Wan S., LeClerc J.-L., Vincent J-L. Inflammatory response to cardiopulmonary bypass: mechanisms involved and possible therapeutic strategies // Chest. - 1997. - Vol. 112. - P. 676-692. 53. Weil M. H., Michaels S., Rackow E. C. Comparison of blood lactate concentrations in central venous, pulmonary artery, and arterial blood // Crit. Care Med. - 1987. - Vol. 15. - P. 489-490. 54. Younger J. G., Falk J. L., Rothrock S. G. Relationship between arterial and peripheral venous lactate levels // Acad. Emerg. Med. - 1996. - Vol. 3. - P. 730-734.